It's Monday- not just any Monday its Bank holiday Monday. 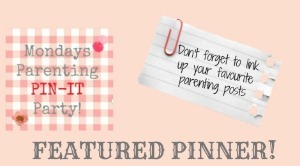 So here is our Bank holiday edition of the Parenting Pin it party. If you have post that is family friendly whether it be a parenting tip or a kids activity, we want to hear about it. 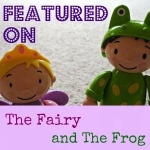 This week I'm featuring two posts. 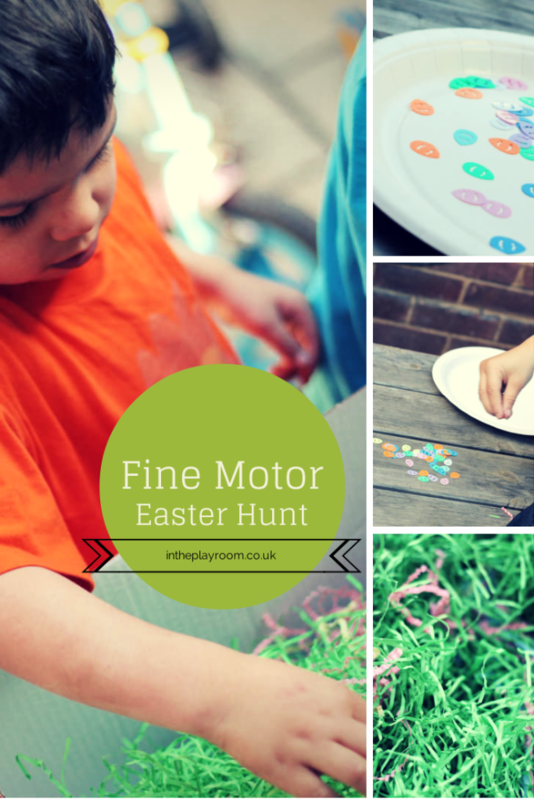 Firstly this Easter hunt from In the play room. 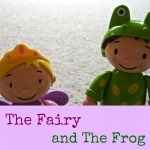 This is a quick activity for a chocolate free hunt. 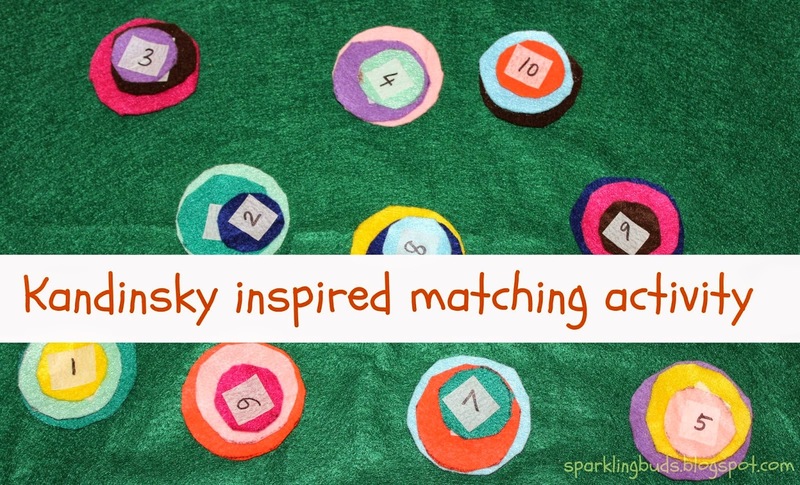 This Kandinsky matching game from Sparkling buds also caught my eye. 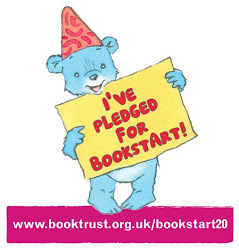 Fancy joining us at our party? Process art can be pretty scary if you were taught art should be 'done' in a certain way. Infact it can feel like chaos.The key concept of process art is in the name - it's the process not the product that is the aim of the activity. As we knew it was going to be messy we headed out the forest (and as I wanted to make extra sure no animals were harmed in the making of this art I put down a bin bag to keep the paint off the floor). 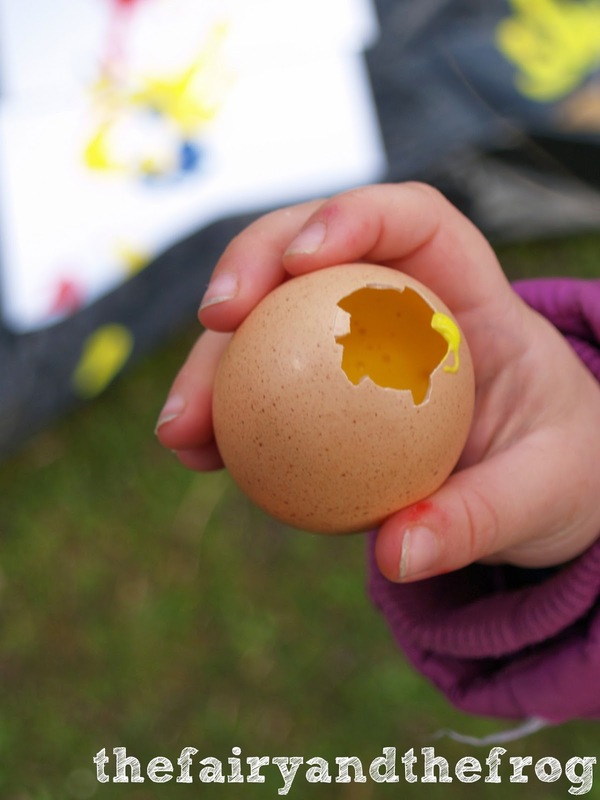 To prepare for the activity the Fairy helped me to crack a hole in the top of the eggs, empty and wash the eggs. The hole was purposefully large (to aid the filling with paint), we left the filling part till we were outside. 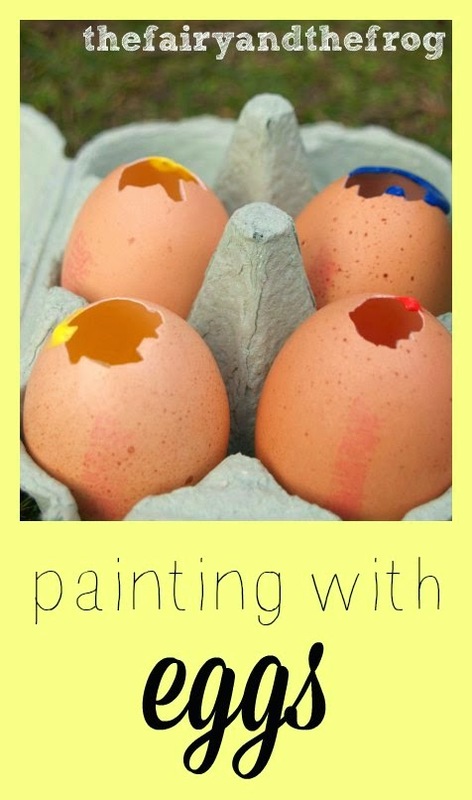 Did I mention this activity is a perfect excuse to make cakes too, what with all those egg shells we *had* to do something with the eggs. Before we threw the first egg we spoke about what might happen. Then we let rip. I was surprised that the eggs didn't break easily - but that led to more throwing. Then we whipped out some paint brushes to do some mixing. If we do this again I think I'll take some extra paper to make prints from the patterns made in the paint. 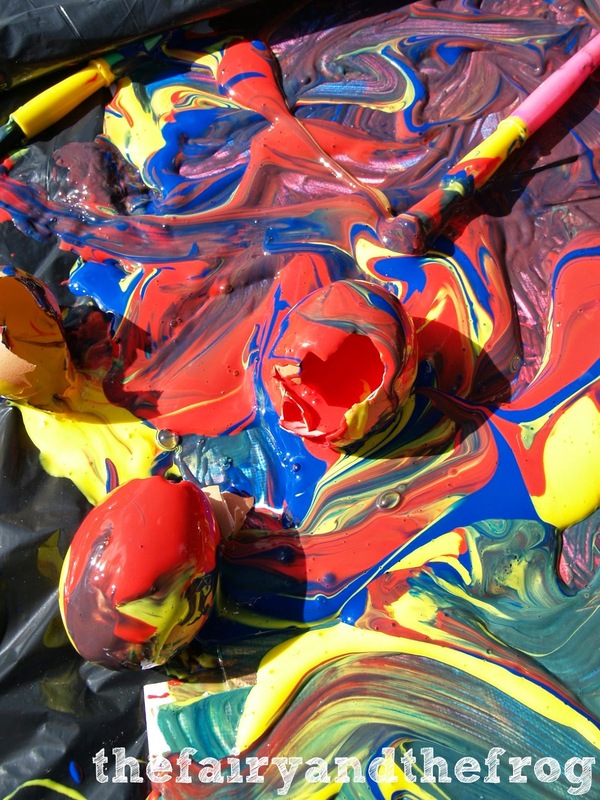 I first saw this activity over at Play Create Explore where they used powered paint- I love the paint explosions they make - great for talking about science. 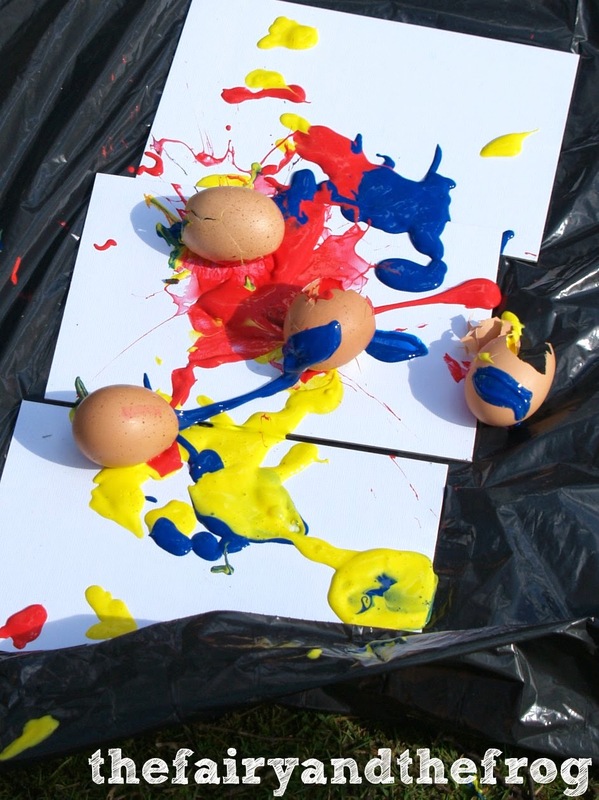 Language Learning: using language to predict and reason (What will happen if you throw the eggs? Why didn't they break? What could you do to make them break? ).